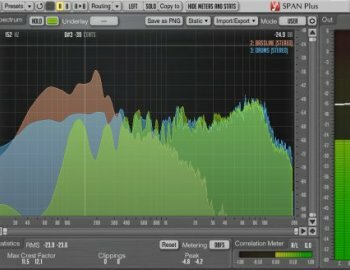 SPAN Plus is a real-time “fast Fourier transform” audio spectrum analyzer plug-in for professional music and audio production applications. For the most part it was derived from Voxengo GlissEQ dynamic parametric equalizer and reproduces its spectrum analysis functionality. 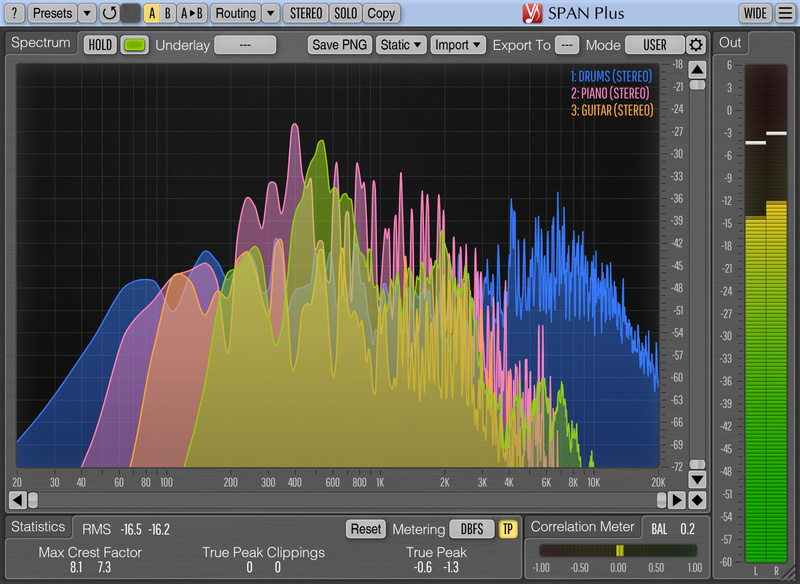 SPAN Plus is an extended version of the freeware SPAN plug-in: SPAN Plus provides several additional features such as PNG file export, real-time spectrum import/export and static spectrums display. Fixed "Bypass" switch in VST3 in Cubase.